If you’re looking for the best OBD2 Scanners for Ford Focus, then you’re reading the right article! Mike, Vince and I have been testing a ton of different OBD-II scan tools, and think that we’ve put together a great little guide that will help you! A lot of our friends own the Ford Focus and have been asking us what OBD2 tool we recommend and that’s why we’ve posted this article. The Ford Focus is a different breed of compact car. Unlike the Honda Civic or Toyota Corolla, the Focus seems to prioritize passenger comfort and precise handling, which is a bit of a compromise if you ask me. Typically you do not find both these features in one car! But only the Focus is able to deliver a true European driving experience, a trait which has endeared millions of converts from all over the globe. The Focus was first sold to Europe in July 1998, while the North American market got its fair share of the Focus the following year as a 2000 model. It is one of the most popular compact cars in the world, and Ford USA was able to sell around 202,000 units of the Focus in 2015 alone. The popularity of this compact car inspired us to compile the 4 best OBD2 scanners for the Ford Focus. If you ever encountered a check engine light on your console, it means that there is a problem with your car. Instead of driving straight to the dealership, why not try to fix your car yourself? You might save a ton of money in the long run. Before we began testing our OBD 2 diagnostic tools for the Ford Focus, we needed a test car. I called Eddie (one of our friends) and asked him if he knew somebody who owns a Focus. With luck, we were able to source our test car from Eddie’s favorite mechanic, a car which was brought in for repair. The mechanic told Eddie that the Focus had a check engine light on the console. With much excitement, we grabbed our gear and headed to the garage to hunt down some Focus trouble codes. The green machine! – American made OBD2 tool with a 3 yr warranty! Connects your Android phone or tablet to your car and lets you see live engine data, check and clear codes, and a whole lot more! 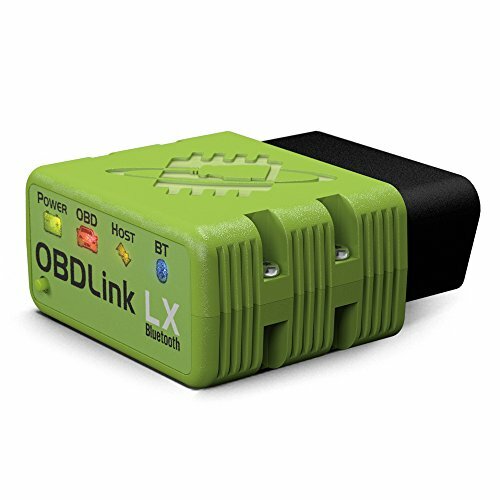 The 427201 OBDLink LX starts around 50 bucks, making it one of the most affordable scanner for the features. This product works flawlessly on Ford, Chrysler, GM and Chevrolet vehicles. It also supports EOBD, JOBD, and OBD… which is a long way of saying that 99% of cars you want to use this tool on, you’ll be able to! The manufacture (ScanTool) is an American company located in Arizona. On top of that, it comes with a 3 year warranty! You can’t beat American made tools with a warranty to back it up. It can read diagnostic trouble codes and scan manufacturer specific and generic trouble codes. Best of all, it works uses wireless to connect to your Android based phone. Sorry Apple users! If you have an Apply phone, then scroll down to our next OBD2 scanner (that works with Apple/iOS). Our test car was a 2012 Ford Focus Titanium with a 2.0-liter DURATEC engine and 5-speed manual. We plugged in the 427201 OBDLink LX OBD2 scanner to the diagnostic port and fired up our Android phone. The scanner immediately displayed 3 fault codes, and were able to determine the meaning of the codes from the V1.5 database. Our test car was really ill. First, it had a PO302 error code, which was a misfire on cylinder #2. Next, the code PO400 was diagnosed, which had something to do with the EGR or exhaust gas recirculation system. Finally, the Focus also had a P1100 error code, which meant that there was a problem with the MAF or mass airflow sensor. No wonder the Focus was idling erratically, and the owner of the car also reported acceleration problems and poor MPG. Now that the mechanic knows what’s wrong with our test car, we proceeded to test our other OBD2 scanners for the Ford Focus. Needless to say, we were quite happy with the 427201 OBDLink LX and it holds a place in our best OBD2 Scanners for Ford Focus list! Check out our ScanTool 427201 OBDLink LX review if you want to know more about this scanner. The Veepeak Mini OBDII Scanner is one of the cheapest diagnostic tools that we found. At less than $$ bucks, this is a steal! But don’t less the price fool you. This scanner is compatible with Apple/iOS and Android phones because it uses WiFi to connect to your phone. We love these small scanners. They are convenient and easily used to convert your smartphone to an invaluable vehicle repair tool! We plugged it in and fired up on Eddie’s iPhone 7s. The Veepeak Mini Scanner was able to read all the error codes that we diagnosed earlier. Our test car was now idling more erratically, and it even refused to start when the engine died. We started the car again and proceeded to read the error codes for a second time. 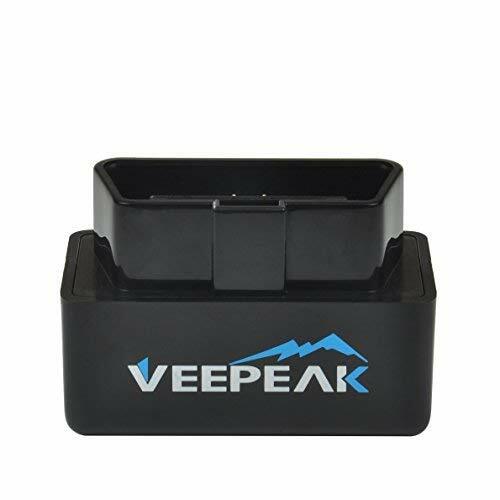 TheVeepeak Mini OBD2 scanner simply works, and it is designed to be compatible to all OBD2 protocols including CAN-BUS. Make sure that you get the right app for your phone. For Android we suggest Torque (or Torque Pro). For Apple, Eddie has used BlueDriver (free) and Dash Command (paid). 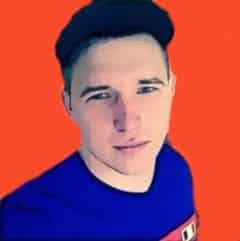 Try out the free apps, they might be enough for you. The paid apps do offer a lot more features and car information like manufacture specific codes… but we don’t want to get too off track on that! Eddie’s mechanic began to remove the air cleaner box and the MAF sensor. He sprayed some cleaner into the MAF sensor to somehow fix the idling problem. It worked for a while, but the idling problem was back when we were in the middle of testing our third OBD2 scanner for the Ford Focus. Support Android AND iOS so all your smartphones and tablets can be put to better use than watching Youtube videos! Low-cost OBD2 tool from a reputable company that will last you for years! 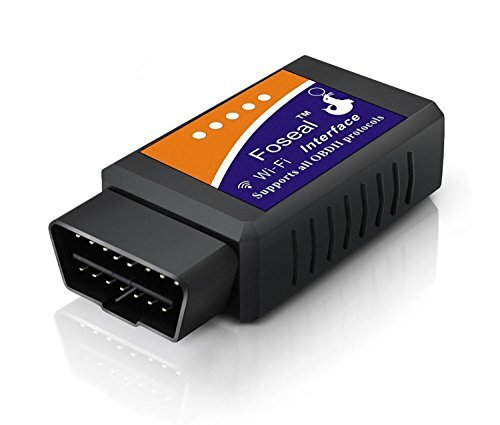 This Foseal OBD 2 scanner supports all Ford vehicles manufactured in the USA after 1998. It utilizes the latest ELM processor for improved speed and performance. It also works via Wifi, supports Android and iOS and it costs less than 20 bucks. This scanner will also work on Ford diesel and Benzine cars. The device worked well on our test car, and it was able to read the trouble codes from the MAF sensor, the EGR, and the cylinder misfire from the database of over 3,000 generic and manufacturer-specific trouble codes. As we previously mentioned earlier, our test car was really struggling during this time of the test. The unstable idling required us to start the car again at least 10 times when the engine died, and the garage was now beginning to smell like unburned fuel. We needed to hurry, as Eddie’s mechanic was not itching to go back to work and solve the problems once and for all. For those of you who would like to connect to your vehicle’s OBD2 port using a CORDED scanner, check out this guy! Supports CAN and OBD2 to view live sensor data, check and clear MIL codes, and much more! Our test car was in really bad shape, but it was the perfect candidate to test the 4 best OBD2 scanners for the Ford Focus. Eddie’s mechanic wanted to get back to work.. but not before requesting that we leave him the Big Banana so he can test it on his Ford F-150. As it turns out, even seasoned mechanics need all the help they can get. We hope this list of the best OBD2 scanners for Ford Focus has helped you find the right tool for you! Did we miss a scanner that should have made the list? Leave us a comment!